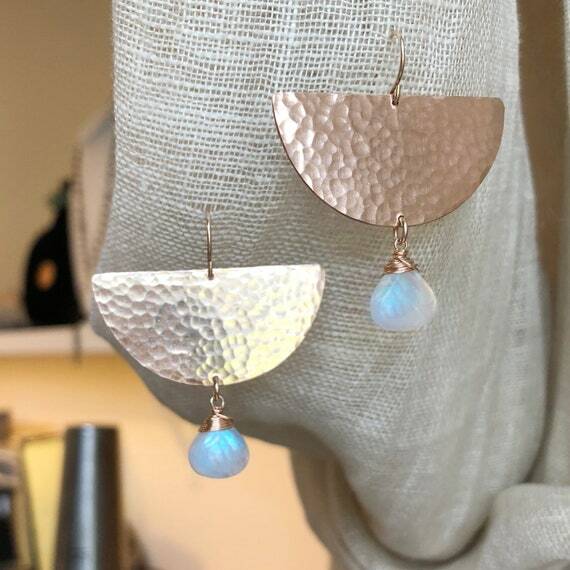 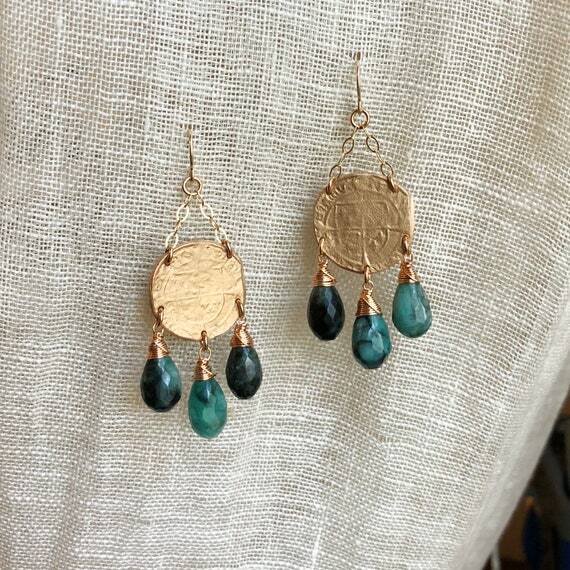 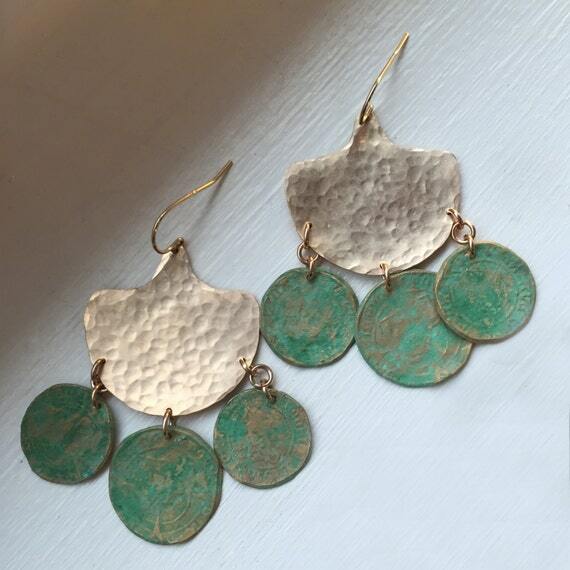 These earrings will have you feeling like an ancient goddess! 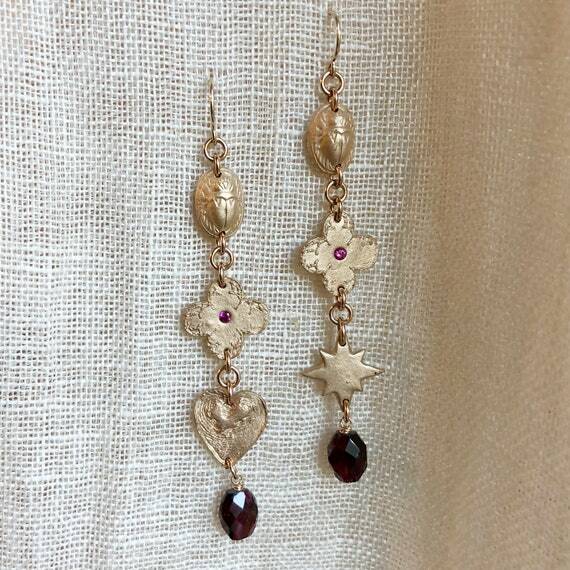 A chandelier style, these feature hand stamped bronze coins which are a replica of a Tudor coin; 14k gold filled chain and ear wires. 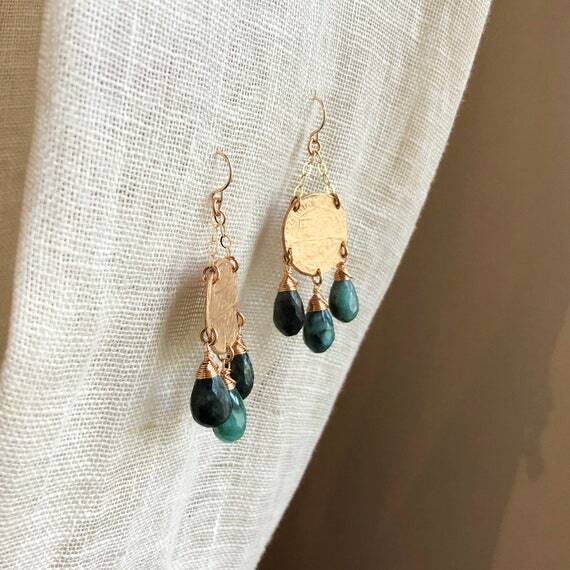 Dangling from the bottom are three faceted Brazilian Emerald gemstones.